^ 中华人民共和国电子工业部. 国家标准 GB/T 16964.1-1997. 1997年. ^ Young, Margaret Levine; Kay, David C.; Wagner, Richard. WordPerfect 12 for dummies. For Dummies. 2004: 102. ISBN 978-0-7645-7808-3. ^ McGrew, Mac. American Metal Typefaces of the Twentieth Century (second edition). New Castle, DE: Oak Knoll Books, 1993: 85–87. ISBN 0-938768-39-5. ^ Graham, Lisa. Basics of Design: Layout & Typography for Beginners. New York: Delmar. : 184. ISBN 0-7668-1362-2. 请检查|isbn=值 (帮助). ^ Interview with Virginia Howlett, mother of Verdana. Dmxzone.com. 2004-06-24 [2013-09-21]. ^ Why use monospace fonts in your IDE?. [2009-02-22]. ^ Monotype releases New Media Core Fonts. Multilingual Computing and Technology. Vol. 10 (Multilingual Computing, Incorporated). 1999 [2017-06-26]. ^ Henderson, L.R. ; Mumford, A.M. The Computer Graphics Metafile. Butterworth-Heinemann. 20 May 2014: 375. ^ Mumford, Anne M.; Skall, Mark. CGM in the Real World. Springer Science & Business Media. 7 Mar 2013: 102. ^ Raggi, Emilio; Thomas, Keir; van Vugt, Sander. Beginning Ubuntu Linux: Natty Narwhal Edition. Apress. 17 Dec 2011: 286. ^ Schaller, Christian. A thank you to Google from Desktop Linux. GNOME Foundation. 10 October 2013 [26 June 2017]. ^ Esfahbod, Behdad; TAGOH, Akira; Steffens, Jan; Crozat, Frederic. 30-metric-aliases.conf. GitHub. fontconfig. [1 May 2016]. ^ Willis, Nathan. Liberation fonts and the tricky task of internationalization. LWN.net. 19 June 2012 [26 June 2017]. ^ Frere-Jones, Tobias. MicroPlus. 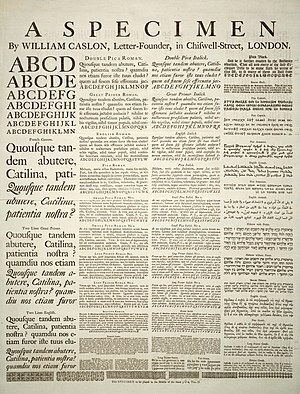 Frere-Jones Type. [1 December 2015]. ^ Reynolds & Koeberlin. Socialist TV Typeface Videtur Finally Freed. FontFont. [24 May 2015]. ^ Numbers. Hoefler & Frere-Jones. [6 October 2015]. ^ Barnes & Schwarz. Type Tuesday. Eye. [10 August 2015]. ^ Lawson, Alexander. Anatomy of a typeface 1st. Boston: Godine. 1990: 321–323. ISBN 9780879233334. ^ Peters, Yves. Fontlists: reverse contrast. Fontshop. [15 August 2015].